We are honoring the BIG machers this year! Please check daily journals for class-specific events and schedule changes. This is the Ta Shma Weekly Newsletter, a publication for the Beit Rabban Day School Community. Beit Rabban is a community that is held up by the work of its many devoted members. Parents, staff, students, and other community members have a voice in shaping and reshaping our school, and they also take responsibility to help implement our values. Each year at Manna from Heaven we highlight someone in our community who plays an essential role in ensuring the ongoing vitality of our school. This year, we are doing something different. We have decided to honor the BIG machers (see Yiddish Slang Dictionary)... all the Jewish professionals within our parent body , and we are calling them "Rabbanan Beit Rabban." 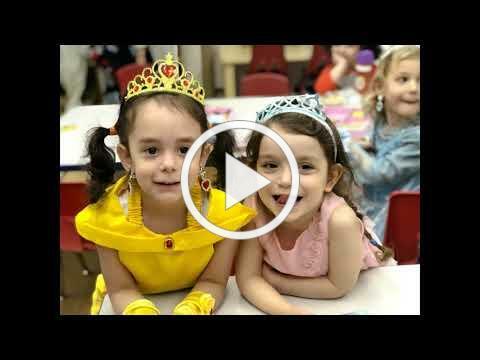 We take immense pride in the fact that Beit Rabban has always been a school where Jewish professionals -- clergy, educators, academics, artists and non-profit professionals -- send their children for a Jewish education. It speaks to the highly committed and diverse makeup of our parent body. I believe it is also critical to our ability to prioritize the teaching of Judaism with both rigor and joy. Honoring " RABBANAN BEIT RABBAN,"
Please join us for a morning of sharing, learning and joy with the students of Beit Rabban. for more information and to RSVP! Student 1: "So, do you know Birkot Hashachar?" Student 1: "So then say it if you know it..."
Student 2: "Um, I just have to remember how it starts." Nitzanim (5th grade) Student 1: "What happens at the flesh eating wall." Nitzanim Student 2: "People eat flesh." Anafim (3rd grade) student to teacher: "You could be the next Rashi. You did such a detailed Torah footnote on Rivka's story!" Download the Parsha Page here . Dori Shifra bat Masha Aviva, Beit Rabban teacher who is recovering from a fall. Michael ben Chaya, father of Yaron Schwartz and grandfather of Shane in Anafim. Patricia bat Elsa, caregiver in our community going through chemotherapy. David Uri ben Aviva, father of Gan student. Tziviya Devorah bat Zelda Zichlah, mother of Gan student. Yosef ben Rachel, father of Gan student who is recovering from heart surgery. Sarah Leah bat Yocheved Ruth, mother of Jennifer Taviv and grandmother of Ariela in Shtillim and Temima in Nitzanim.